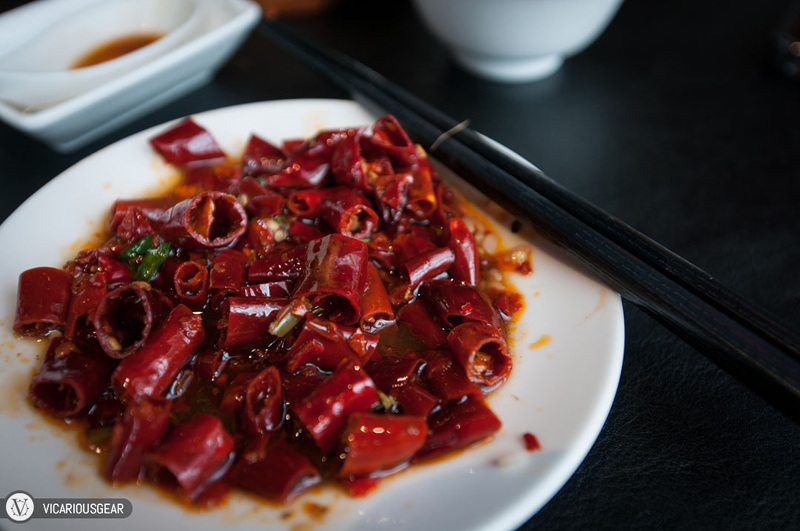 So, on the opposite end of the review spectrum from YehLiu, Mimi and I visited a restaurant called San Yuan Chinese Cuisine (三源) in the ATT 4 Fun building which had rave reviews. Beyond the novelty factor behind their selection of buns, I really have no idea what the rage is all about. The taste was average at best. In hindsight, we definitely would have preferred to waste our calories somewhere else. At least some of the pictures are amusing to look at. We started off with their drunken chicken dish. This was probably the best thing in the meal. 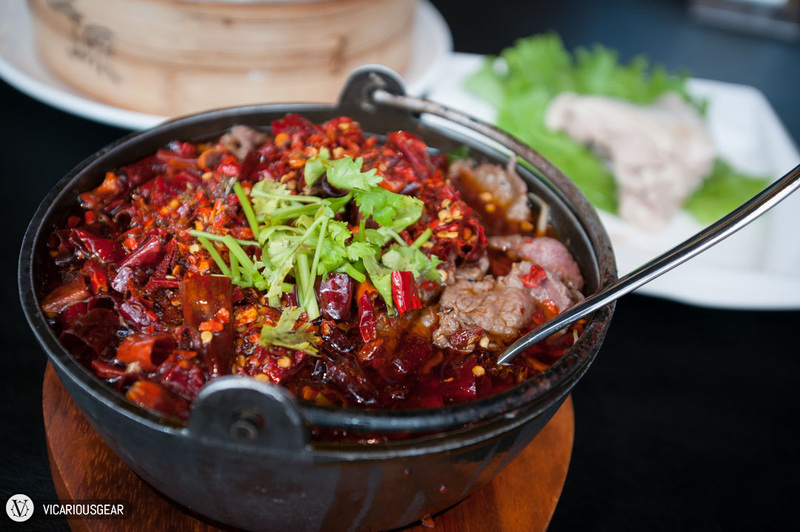 Spicy Chili Beef. I guess if you love eating chilis alone, this was alright. The beef was pretty cheap and the chili oil wasn’t particularly fragrant. 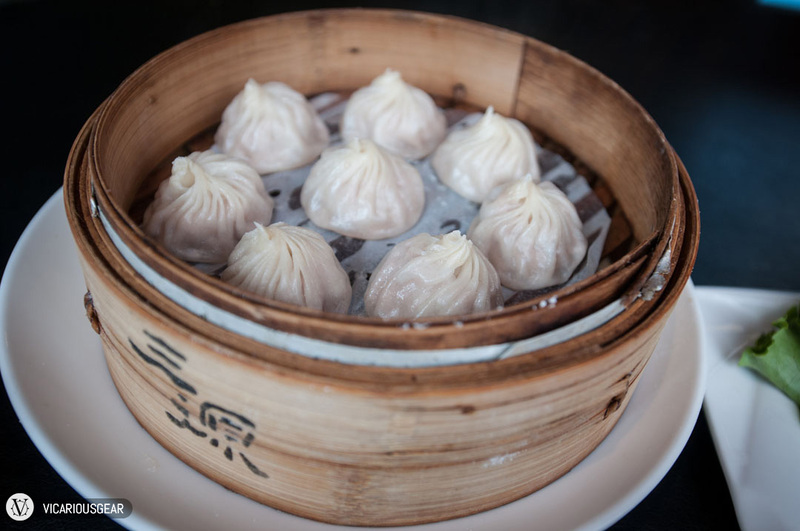 Steamed crab roe and pork xiaolongbao (21摺小籠包). 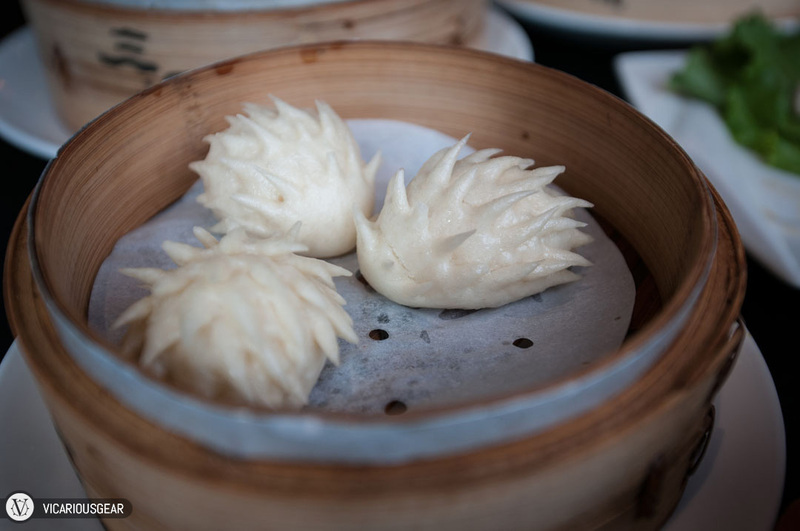 Their steamed buns/mantou (手工饅頭) look like little hedgehogs. 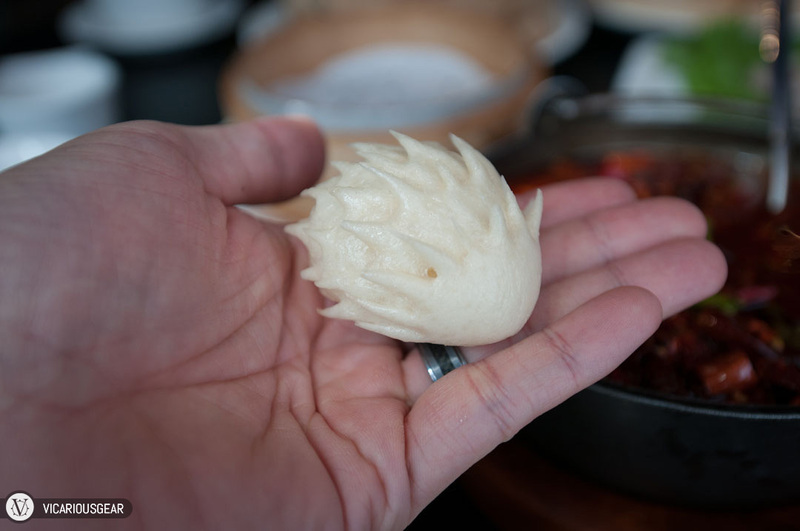 Cute, but the spikes make for a rough texture since they dry out faster than the rest of the bun’s skin. I contemplated taking one home…then bit its head off. 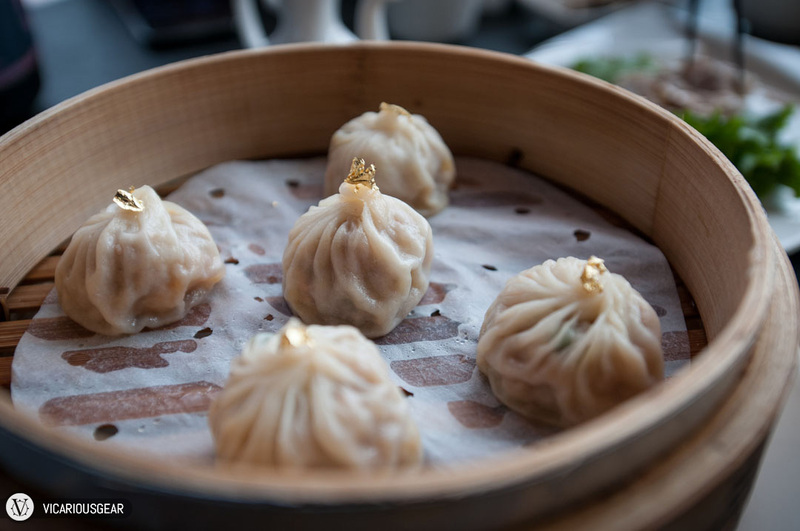 “Superb xiaolongbao” (御品小籠包) adorned with gold leaf. Nothing superb except for the price. Fortunately they were running a deal for 40-50% off of these if you paid with an AMEX card. Chili remnants from the beef dish.